Japan – land of the rising sun – inspires me in so many ways. When I visited Kyoto and Tokyo I bought a lot of beautiful Japanese paper, with all kinds of patterns. These patterns can be found everywhere; as decoration in temples, at fabrics, pottery and porcelain, paper and a thousand other things. But where do these patterns come from? What do they mean? 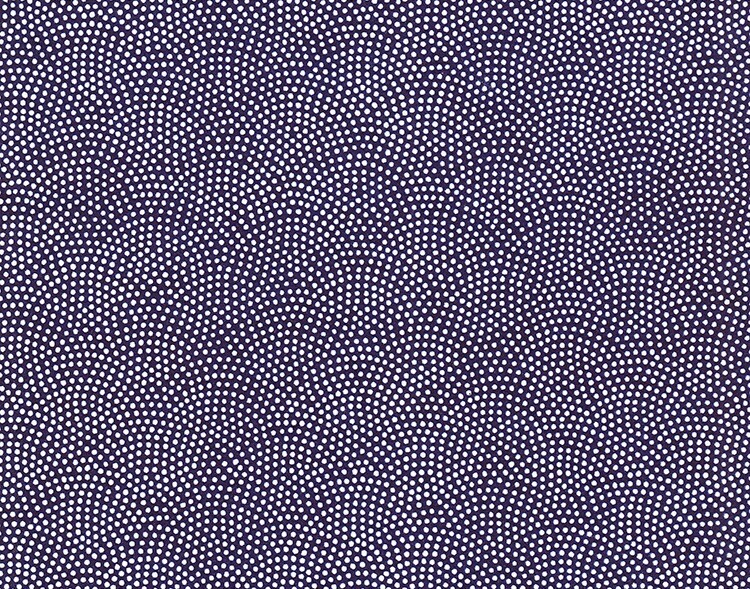 A wave design made of the arches of concentric circles placed upon one another so that only the upper portion of each set of circles is visible. The four arcs are meant to be the four oceans (north, south, east and west) surrounding Japans islands. The calm waves symbolize our days repeating calmly and peacefully forever. It was used in China to depict the sea on ancient maps. 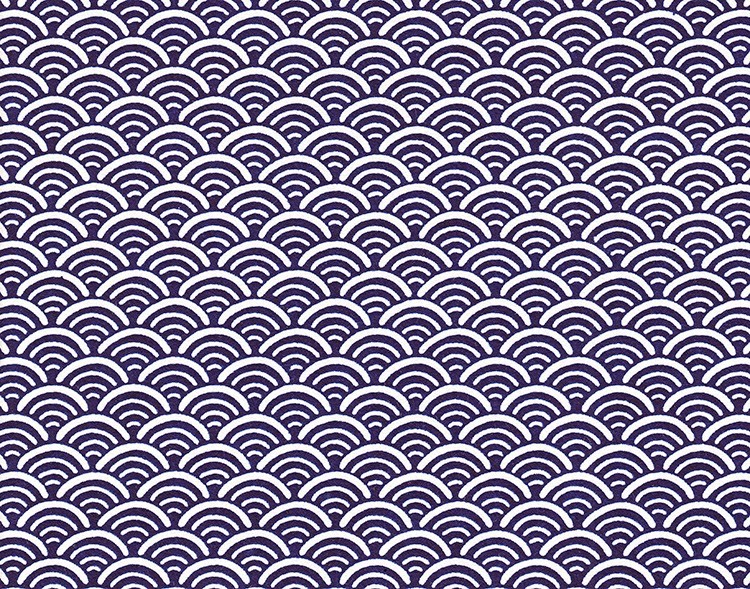 In Japan this pattern was used to decorate temples, halls and gates from the 16th century. This pattern is an abastract shippo tsunagi. Shippo means ‘seven kinds of treasuries’ and tsunagi means ‘with interrelated objects’. The diamond shape can be associated with a sparkle, that is connected to a jewel or treasure. The pattern comes originally from China. Same Kommon means Shark Skin Pattern. Sharkskin-like semicircles are placed one of the top of another. Fabric with this pattern is believed as protecting from evil or illness. Traditionally, the bride will bring a new Same-komon Kimono with her. In the Edo period, each feudal lord had his specific pattern of kamishimo (samurai cloth) and the Kishu family owned the Same Kommon pattern. 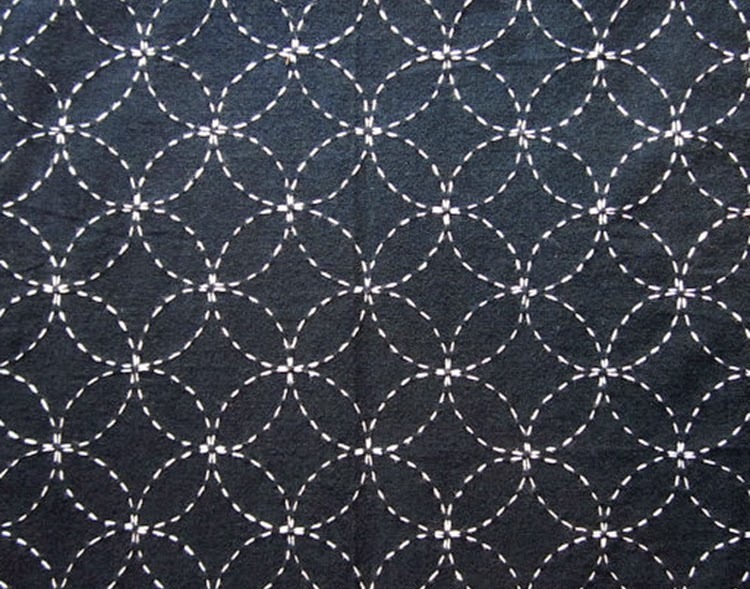 Giyougi is a derivative of the Same Kommon pattern. It is also derived from the Edo period. 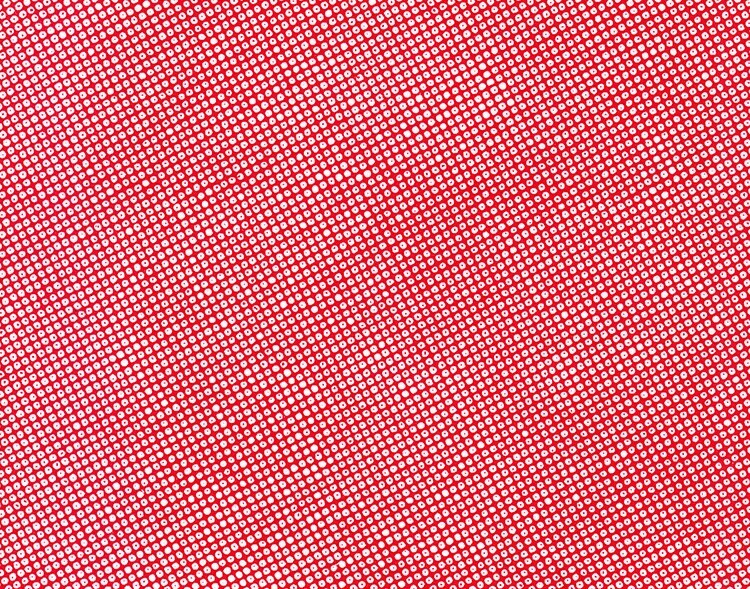 Characteristic of this pattern is the diagonal allignment of the dots. 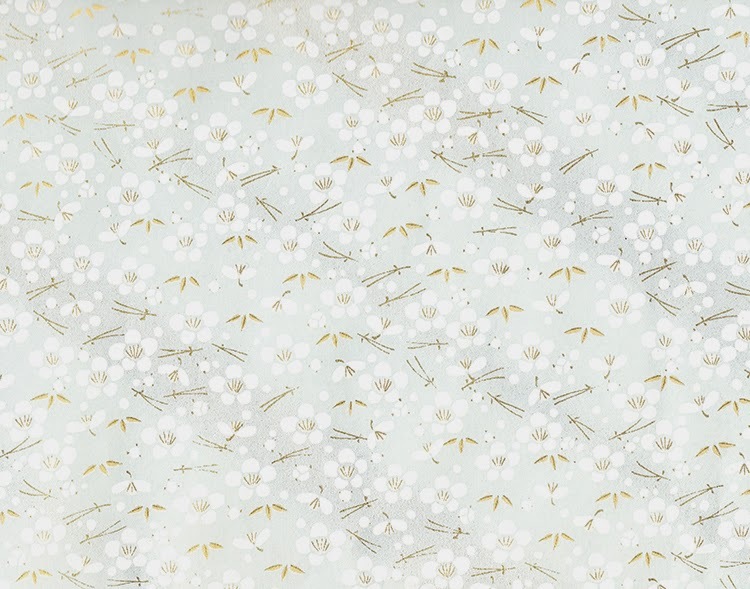 The komon patterns were made by forcing rice paste throught a stencil of tiny dots, then dying the surrounding fabric, so the dots stay white. In the early Edo period komon were commonly white on indigo. Matsuba means pine needles from the matsu, the evergreen pine. This tree is considered to be a symbol of longevity and principles. If you have any additions or corrections, please don’t hesitate to react!